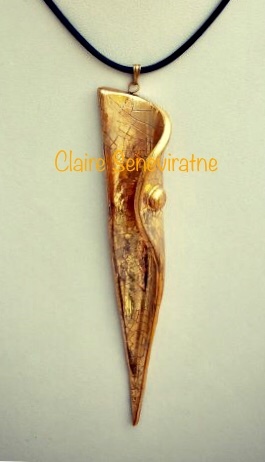 Claire Seneviratne - Ceramic Artist: Gold lustre pendant. Gold lustre pendant. This pendant is made from porcelain and is attached to an adjustable leather thong If you want a closer look it is on my jewellery video in the vlog section.